Thos. C. Cunningham, 1st Lieut. John E. Hendricks, 1st Lieut. John J. Phillips, 2nd Lieut. 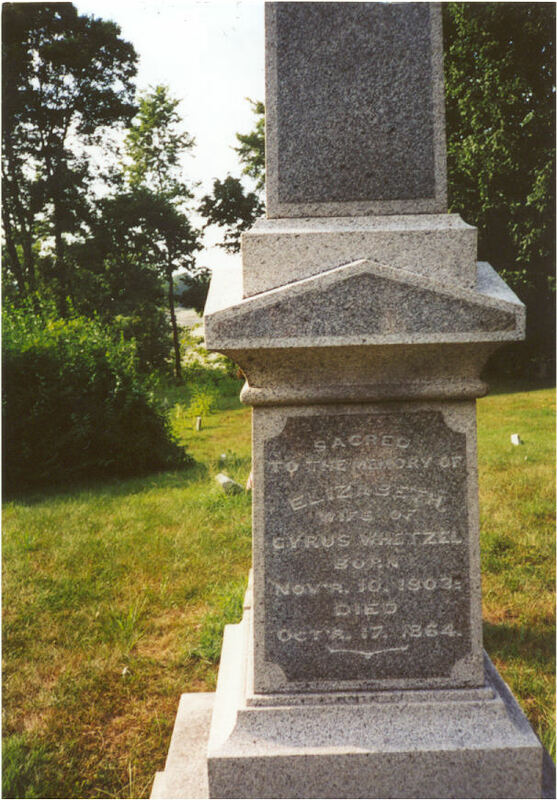 George E. Grace, 2nd Lieut. Jeremiah Antle, Daniel Berney, George Blackmore, John N. Butler, John H. Clever, Simon Clever, Geo. B. Covell, Wm. 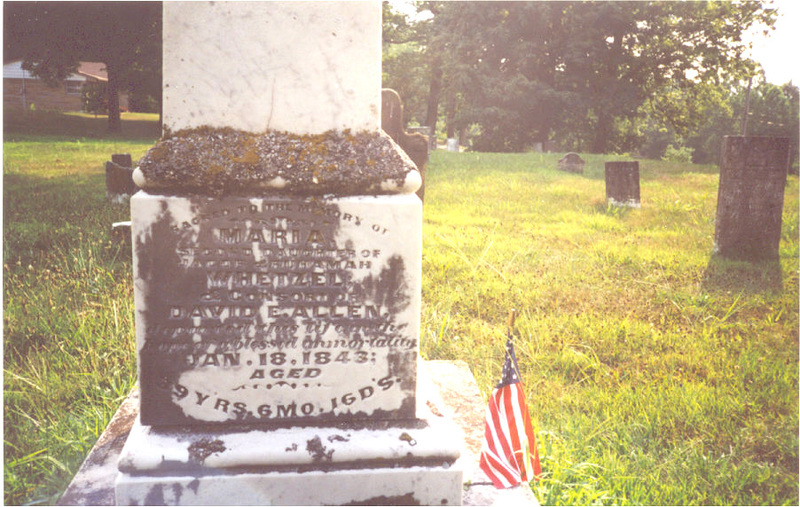 H. Cox, Joshua Cox, Edward Cox, Wm. Currie, Geo. H. Curry, James Curry, Samuel Day, Wm. Deitz, Wm. Dinwodie, John Duke, Robert Dunlap, Wm. H. Dunn, Wm. F. Falconer, Wm. T. Fenton, Benton Folkner, Frances Furgason, Oliver Gonter, Solomon E. Hampton, James A. Hanna, Thos. 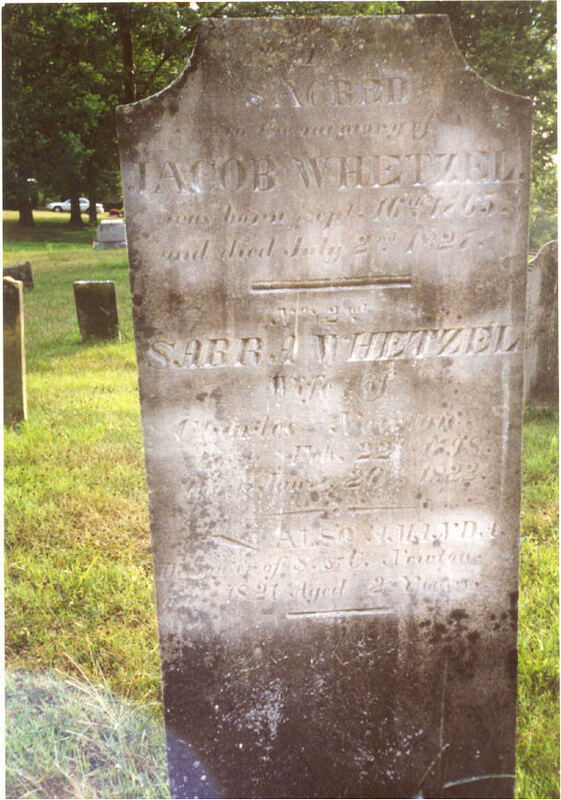 J. Hanna, James H. Harris, Daniel T. Jones, Joseph King, Benjamin King, Wm. H. Lick, David Lippert, Dailey Loyd, Ezekiel Loyd, Squire Mather, Alexander P. McCan, Wm. A. McBride, Nick McCubbin, Jas. D. McIntire, Jas. McNeil, Jr., John Merriman, Granville Merriman, Ferdinand Miller, Chas. S. Mullen, John Mullen, Joseph Park, Hugh H. Parkhell, Isac D. Perkins, Wm. 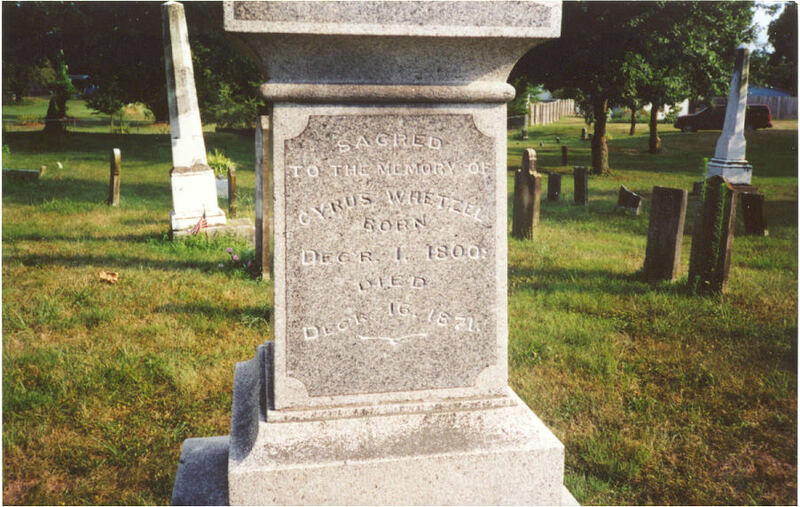 Ramsey, John J. Rutherford, Wm. Schaab, Johnathon Schooley, John Stofer, Casper Snyder, Benjamin Sullender, Addison Sullivan, Henry Talbott, Jesse Temple, Jas. N. Temple, George Thompson, Jessie W. Tilford, Isaac Tyron, Valentine Wetzel, Jacob Wetzel, Wm. A. White, Michael Wood. 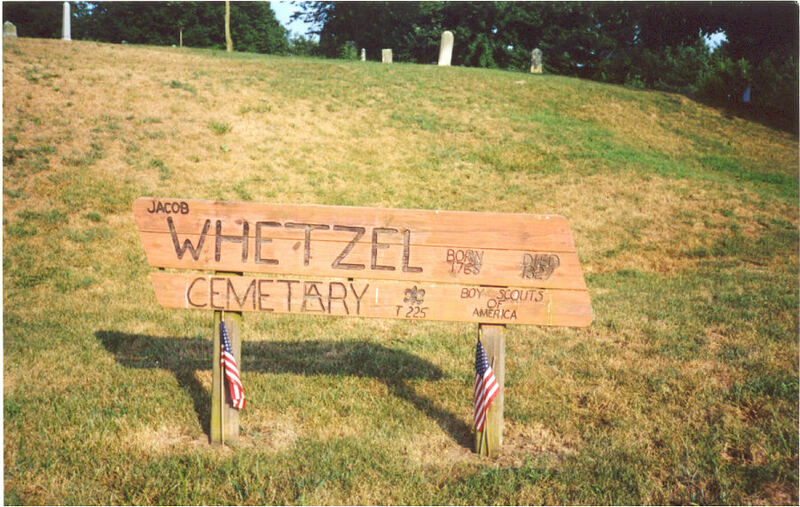 I would say the best way to go to the Whetzel/ McKenzie Cemetery, from Interstate 70 , Indianapolis South on Interstate 65 to County Line Road East (right off of exit) That road will lead you all the way across to State Road 37. South ( left) onto State Road 37 (About 5 miles You will see sign Center Grove High School, that is " Stones Crossings" LOOK for that.... The NEXT LIGHT is Your turn off State Road 37... The little town name is WAVERLY, IN) Turn West (Right) on County Road 144 ( There is a Dairy Queen there , I think there is also a MORRISVILLE sign there too) go 2 or 3 block lengths ( before White River bridge) and there is Old SR 37 cross-street, turn south ( left) and go about a mile or so... country road.... on right you will see a black posted like country fence on a slight bend. You will see sign on left....... It is up on hill. ,br> From Our City and Our Heroes, by A. S. Chapman, 1908. 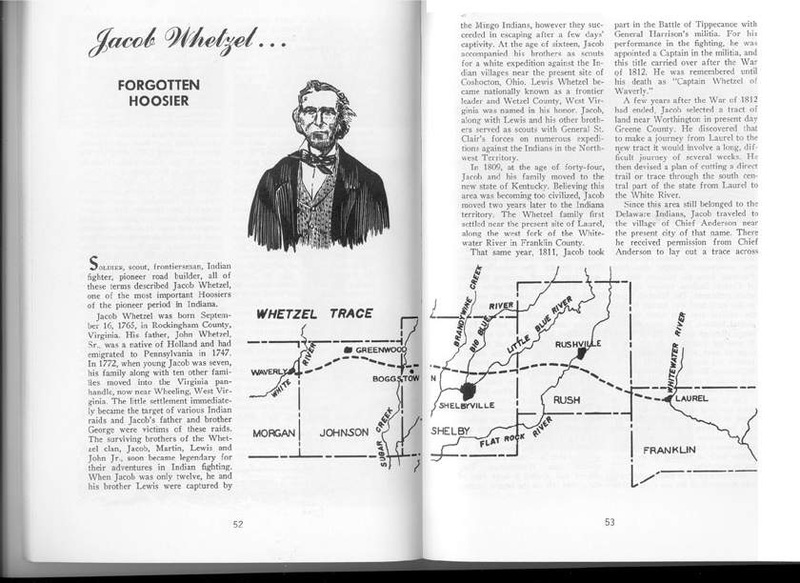 Indianapolis 160 years ago was a lone cabin in a virgin forest. Today, it is a fast-growing metropolis�a highly diversified and vitally-important industrial city in the midst of a vast rich agricultural region. It is a typically American city in a typically American state�the physical, political, economic, and cultural capital of a great commonwealth�a city proud and grateful for its heritage, industrious, ambitious, and confident of a glowing destiny. About Indianapolis there is no element of circumstance either in the selection of its site or the design for the original town. And today, as from the beginning, it is a city planned in its development. 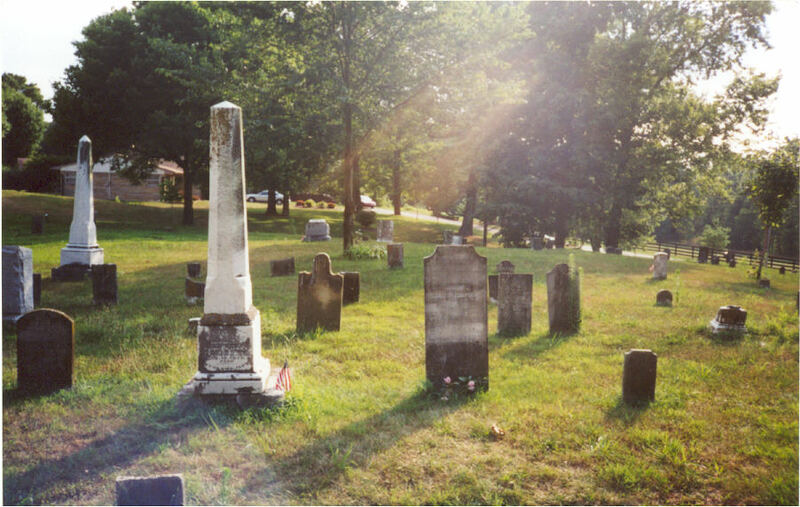 The first settlers came here in the spring of 1820. 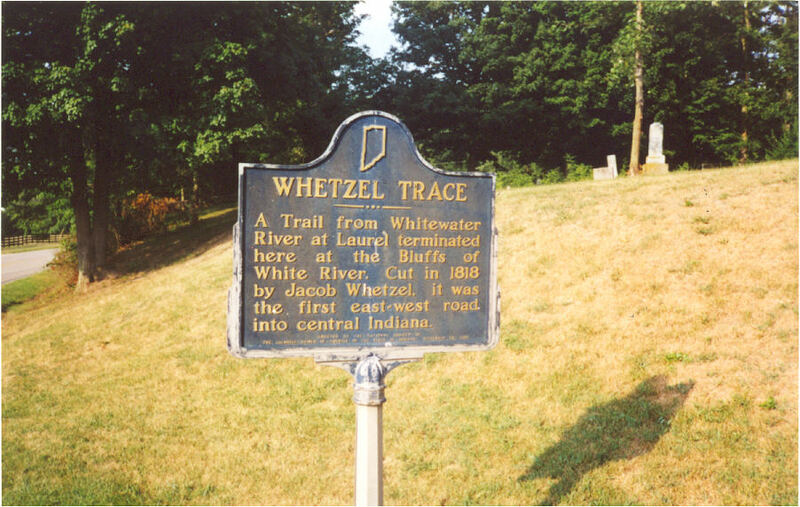 They located at or near the confluence of Fall Creek and White River. 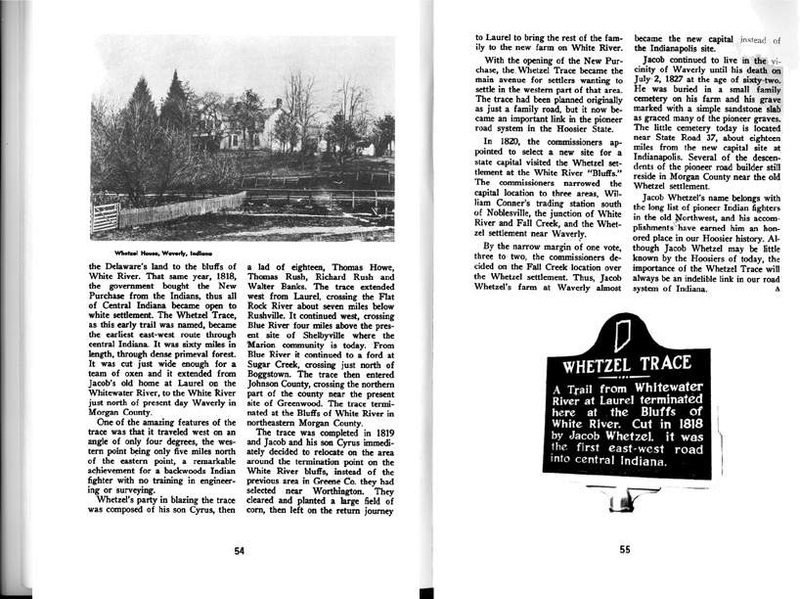 A few years earlier trader William Conner had established a thriving trading post (now restored) a few miles northeast, but it was to the south of Fall Creek that pioneers, pressing into the new state, directed their course from Connersville, Andersontown, and other older towns. 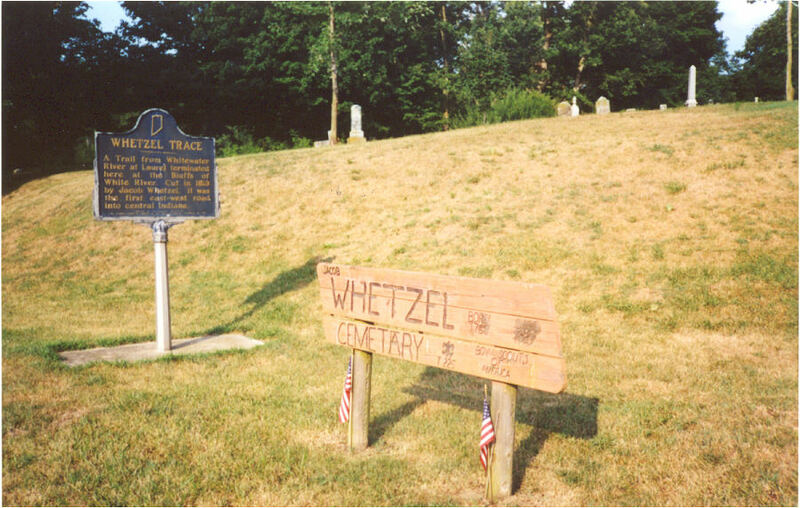 Andersontown was a village of the Delaware Indians. 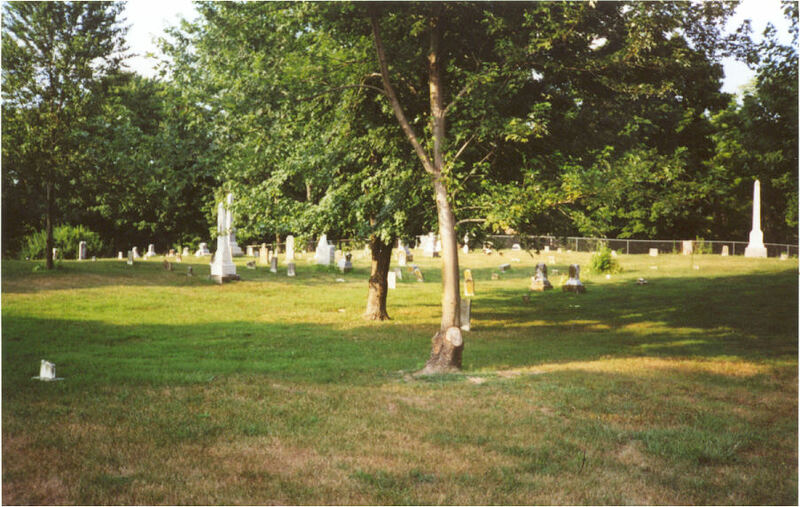 The information & Directions to cemtery were gathered on this site from Paula The patriots name came up reviewing Morgan County Indiana Cemetery records.